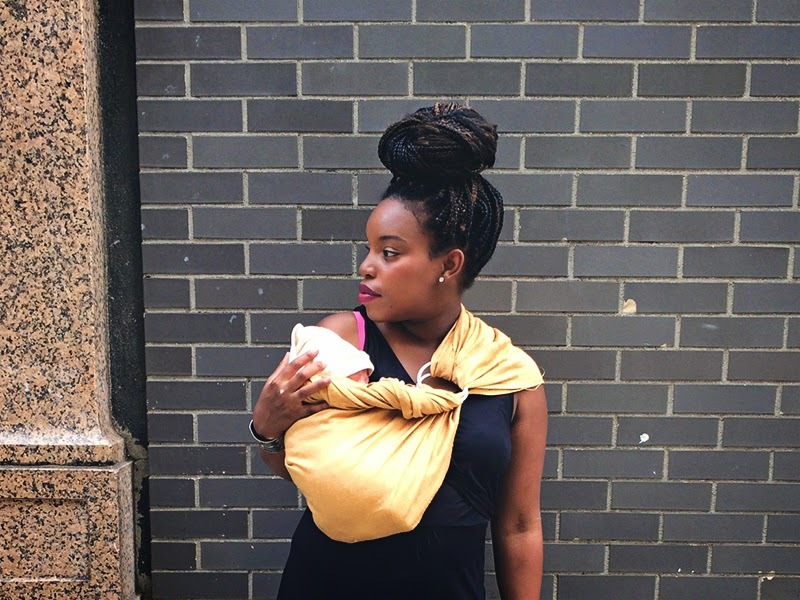 These first days of newborn motherhood are ridiculous, awesome, crazy fast, and slow. Mostly fast because I’ve been here before and I know in the blink of an eye he’ll be chattering away. So we are soaking in these slow days like they are our last breaths. 😉 The slow days are the sweetest. With each day comes something new I’m learning all over again. I knew that three and a half years was a hearty jump in age difference between siblings, it was something I was actually looking forward to. I didn’t expect to feel it so soon. Mostly everything seems quite new. All the nerves, schedules, feedings… all of it. Though, I’m sure it’s all like riding a bike, it just takes time and practice. The day I wore this dress and sling was one of those practice days. 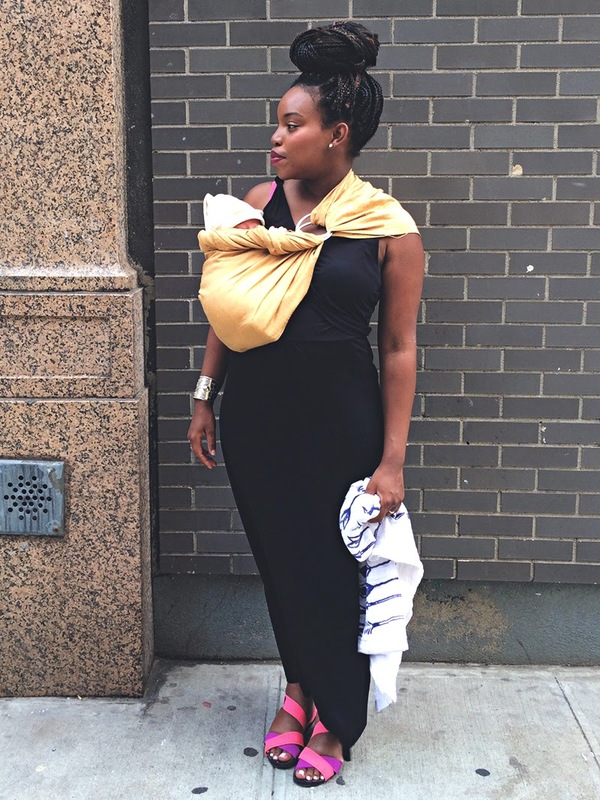 We had a trip to the pediatrician and getting my feet wet with baby wearing/ nursing out and about in the city once again was also on the agenda. The dress I wore was a nursing dress, it’s actually my first and only. And truthfully, I’ve worn it twice around the house since then. I’ve always been the type of person who just makes things that already exist in my wardrobe work, but now I see that owning a few nursing pieces is essential. This will be that one dress that every dress has to live up to for sure. If you have kids, do you own any nursing friendly pieces that you adore? I would love to know about some of your favorites. P.S thank you all for your warm welcome of baby Oak, he is a sweet and chunky ball of love. She's not really actively blogging anymore, but milkfriendly.com is a wealth of nursing friendly fashion tips/tricks/etc. I really like the racer back pullover sports bras from Gap for nursing. Fun colors and easy to pull up to nurse. My nursing uniform with a 4 month old has been roomy drop shoulder tops, skinny jeans, fun stud earrings, cute flats and bright lipstick. You look great post partum! We LOVE our Sakura Bloom sling as well. You are rocking that dress, the hair, and especially the baby! We are lucky that flowy shirts and button down chambray is still acceptable because I lived in those while nursing. I also have a medela sleeping/nursing bra that I love love love. It keeps my nursing pads in place while letting my girls breathe a bit. Congrats on your little one! MAN! nursing and being in style takes a bitnof thought! So i appreciate yoour links! Summer in cali is nice bc the tank tops with the wide arm holes are in style. So I throw those on with my striped sports bra from Motherhood underneath. And it's super cute. Also do they have Ross in NYC? You know one of those discount clothing stores? Just scored a couple of maxi dresses with crossover necklines (love those). Then of course any top/ dress with buttons ARE wonderful! Previous post: Hello Baby Boy!